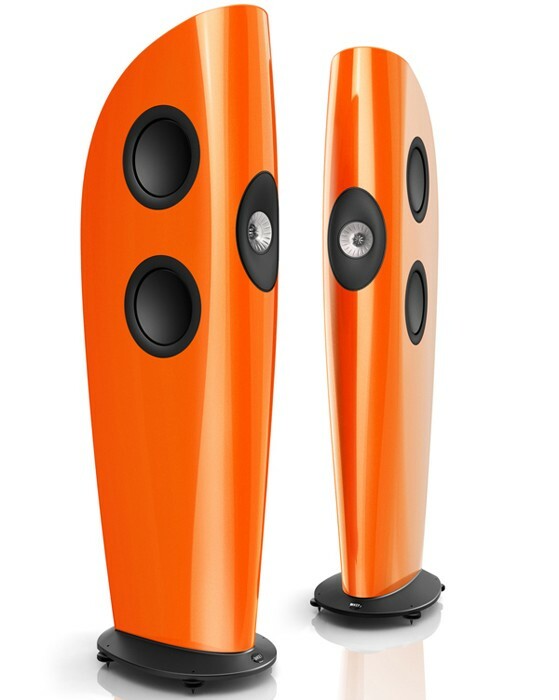 The KEF Blade 2 speakers are modeled after the award winning Blade with the same acoustic prowess and iconic design but on a smaller scale. Ex demo also available - call for pricing. Blade Two is easier to position in less spacious areas where Blade’s extreme bass extension would be superfluous. Blade Two features the same DNA, striking aesthetics, advanced driver technology and phenomenally realistic sound as the multiaward winning original model. 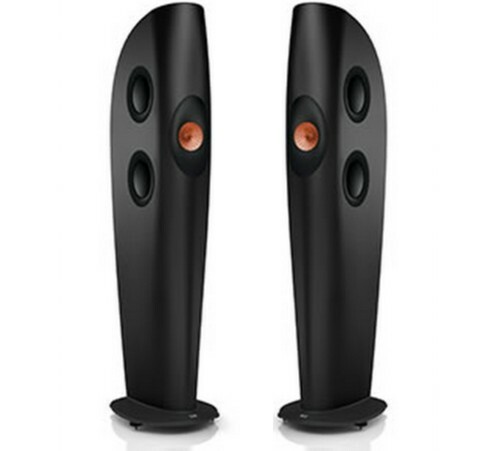 With a modern architecture that achieves the ideal point source, the KEF Blade 2 has four complex 6.5" bass drivers configured to occupy exactly the same point in space as the Uni-Q HF/MF array so the sound appears to emanate from a single seamlessly coherent source. Every component operates comfortably within its performance envelope for more precise imaging than possible with conventional speakers. Like listening to one voice rather than many, sound from a single source is inherently clearer. Not only are the acoustic centres of the HF and MF drivers in the Blade Two Uni-Q array coincident, but the four LF drivers are mounted symmetrically equidistant from it so that their acoustic centres occupy exactly the same point in space.This single apparent source configuration is what makes the Blade 2 so gratifyingly coherent across the frequency range, with noticeably more precise imaging than is possible from any conventional speaker. What you hear sounds as if it’s being performed live right in front of you. 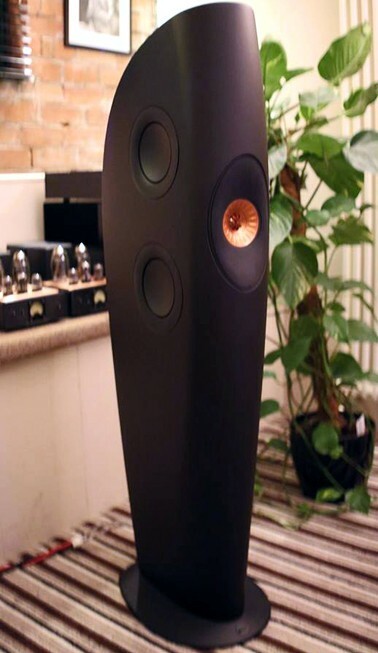 To avoid dissipating the energy of such potent bass drivers in exciting the cabinet (and thereby generating resonance, especially at high volume), the large kinetic forces involved are cancelled out by mounting the LF drivers rigidly together, back-to-back. By minimising cabinet colouration, this highly effective configuration partly accounts for Blade Two’s natural-sounding and engagingly musical performance. 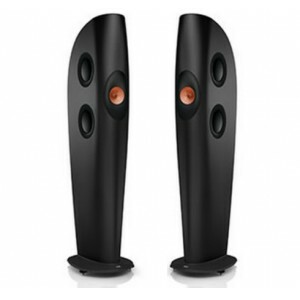 The twinned pairs of bass drivers are mounted in discrete chambers separated by an internal partition. By increasing the frequency of any internal standing waves to way beyond the crossover point, this reduces the need for damping material. Nothing has been overlooked in the quest for the ultimate clarity, right across the frequency range. The simple low order crossovers specified for Blade Two employ the best components available, carefully selected by a rigorous auditioning process so that every part of the signal path is fine-tuned for maximum clarity. The patented screw-in linking plugs are to full audiophile specification. All the crossover components are individually wired by hand rather than mounted on a conventional printed circuit board. As well as being more environment-friendly, this optimises both reliability and sound quality by assuring the cleanest possible signal transmission. Asserting the sophisticated engineering, the stunning Blade Two cabinet is available in a range of impressive finishes: Piano Black, Snow White, Warm Metallic Grey, Light Metallic Silver, Racing Red, along with two specially commissioned ‘Kent Engineering and Foundry’ finishes, which celebrate 50 years of KEF’s unrivalled and continuous innovation. 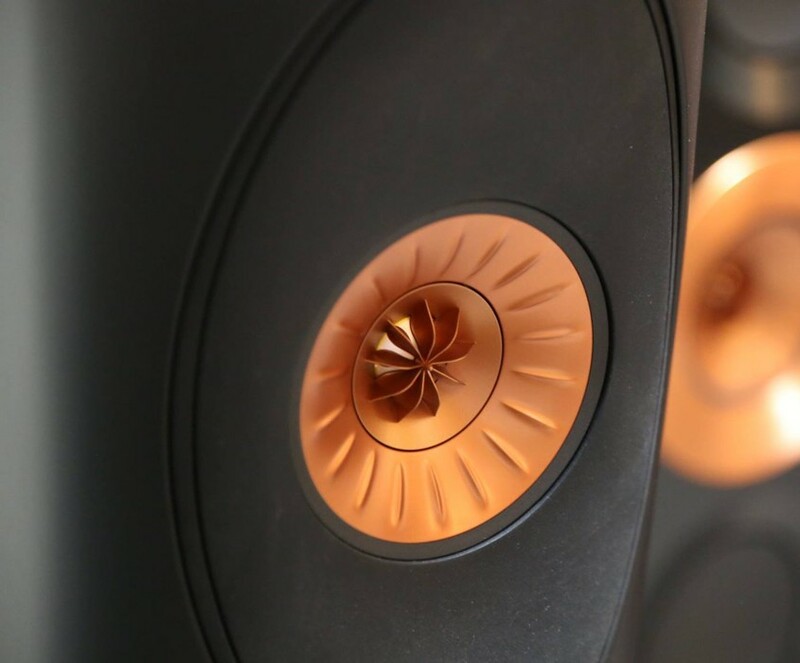 Like everything else about Blade, it's about getting every last detail absolutely right that's why KEF promises to match any colour you want. 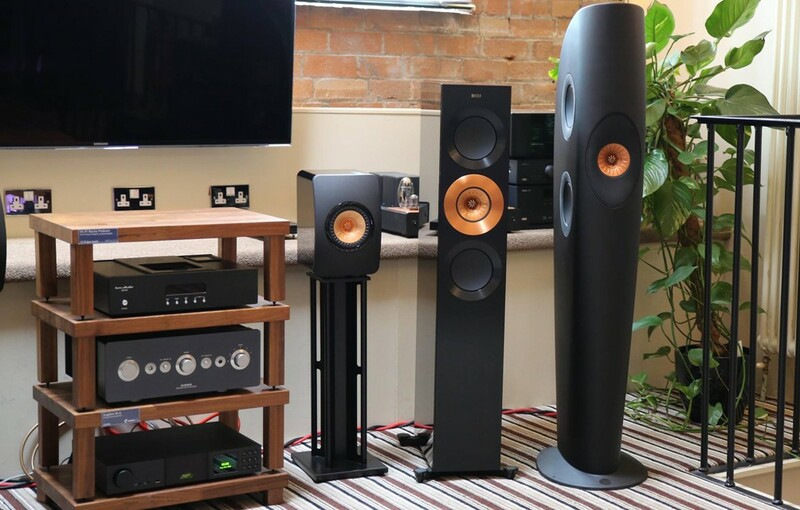 Stopped by Audio Affair's showroom to collect an order I'd made online and while it was coming over from their warehouse they invited me to sit down and have a listen to these on their reference Naim system. Wasnt expecting much as theyre pretty to look at but dont look like they could play very loud, but goodness me, these sound stunning. The fact that little Uni-Q driver can create such a big expansive soundstage is a marvel in itself and the scale and depth of these speakers is far beyond what I was expecting. I'm already considering what I could part ex to get my hands on these, but I'm not sure I could get them past the Mrs!